In April last year, tax authorities had questioned Deepak Kochhar over a Rs 405-crore investment by Accion Diversified Strategies Fund through its Mauritius subsidiary, DH Renewables Holding. The income-tax department's preliminary investigation in the ICICI-Videocon loan case has not yielded anything concrete to establish allegations of tax evasion against Deepak Kochhar’s NuPower Renewables. Howe­ver, the tax sleuths are contemplating investigating some of Kochhar’s properties under the Benami Transactions (Prohibition) Act. In April last year, the tax authorities had questioned Chanda Kochhar’s husband Deepak Kochhar over a Rs 405-crore investment by Singapore-based Accion Diversified Strategies Fund (ADSF) through its Mauritius subsidiary, DH Renewables Holding. “The transactions have been carried out in the guise of loans and other business transactions and hence prima facie no incriminating tax evasion angle has been identified,” said an official. The probe findings did indicate money laundering and the possibility of round tripping, he added. Sources said the inquiry report has been shared with the Enforcement Directorate (ED) which is probing the violation of the Prevention of Money Laundering Act. The I-T department had summoned Deepak Kochhar on April 10, 2018 and sought details on ADSF’s two special purpose vehicles (SPVs) based in Mauritius, Firstland Holdings and DH Renewables, which had invested in NuPower. The tax sleuths asked Kochhar to explain the source of funds that NuPower had received from these two entities. The high premium paid to one of the SPVs has raised the suspicion. Between 2014 and 2016, DH Renewables paid a premium of Rs 1,161 apiece, against a face value of Rs 10, to buy compulsory convertible cumulative preferential shares (CCPS) worth over Rs 405 crore. Based on the information, the I-T department had also sent a letter to its counterparts in Singapore and Mauritius. The I-T department had stated that such a modus operandi of infusing funds at a high premium could be an organised manipulative practice. In the same case, Videocon Industries chairman Venugopal Dhoot and Matix group vice-chairman Nishant Kanodia had also been quizzed for their related offshore transactions. However , it could not be ascertained whether the tax department has found any wrong doing from their credentials. The tax department is said to have sought transcripts of all communication between ADSF and NuPower, agreements between the two, before or after such transfer of funds, share valuation report for investment in NuPower, along with the reason for making an investment at premium, and ADSF’s board resolution approving investment to be made in the wind energy firm. 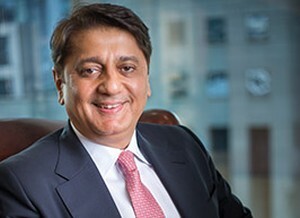 The department has also sought information regarding the nature of activities carried out by ADSF, various financial credentials, such as annual report, tax returns, balance sheet, profit and loss account, promoters, beneficiary shareholders since the company’s incorporation, and the change in shareholding pattern to date. ED which is probing the matter may again summon the Kochhar family in Delhi.